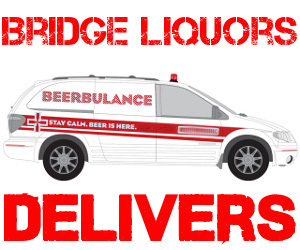 Rhode Island craft beer lovers, it’s time to use some Pour Judgement. We’ve long considered Lagunitas to be the first “super-brewery” to hit Rhode Island. 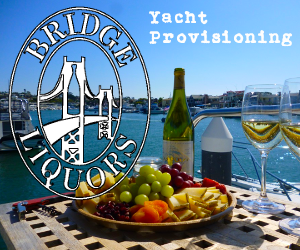 “Super-brewery” is a phrase we coined while working at Bridge Liquors to describe a brewery whose whole range of beers were good. You see, way back when (about 5 years ago), most craft beer wasn’t that great. It was better than the macro-breweries like Bud and Miller, but there was a lot of mediocre beer being brewed. Most breweries had one or two very good or excellent beers…and then they’d use those Grade A brews to push a lot of Grade C beers onto retailers. And then Lagunitas showed up and changed a lot of things. First, ALL the beers were good. Some were better than others, but you could recommend a customer buy anything from the brewery without fear that they’d be disappointed. Second, their six-packs broke through the $10 barrier, which was kind of a big deal at the time. The thing we love most about the brewery is the stories that go along with their beers. They generally involve a little bit of a disaster…and then the creation of a new beer as a response. 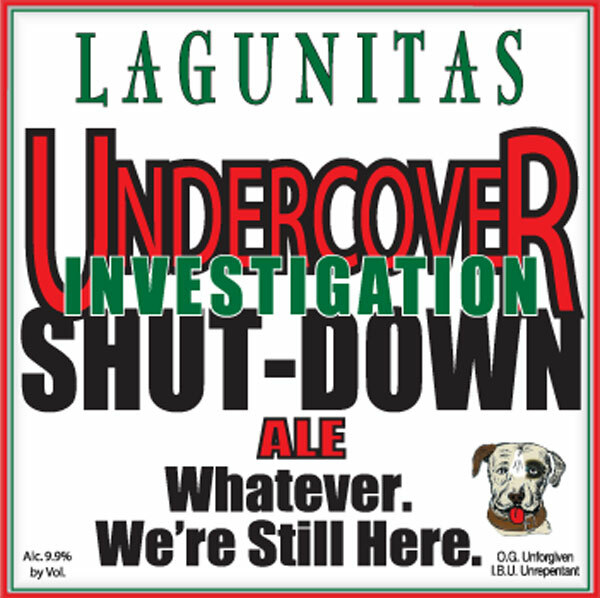 Take the Undercover Investigation Shut-Down Ale (available at PJs tonight). It was created in the wake of an actual shut-down of the brewery as a consequence of some parties that were being thrown at the brewery. The brewery took advantage of the down-time to install some upgrades they’d been planning…and then, after “doing their time” they commemorated the event with one of the more dangerous brews they’ve concocted. Where do we go from here?” The words hung in the air like treacle. They flowed wantonly and dripped off of every horizontal surface oozing downhill as molten sugar is wont to do. “Dude, whatever you do, don’t go straight.” All heads nodded, a different idea of ‘straight’ in each mind. This gathering of dreams stood at the very center of decision making, the epicenter, the geodetic center of the brewery. Everything hung in the balance and the treacle question caramelized from one layer of thought to the next until it cooled sufficiently to arrest it’s own descent. The answer was everywhere obvious. “Forward, never straight.” Forward into the fog, into the spaces that no eye yet pierced. Only a fool would rush in where even angels feared to tread and still this was the way forward. In that moment of clarity they leapt the proverbial leap from the lion’s head. The yawning void accepted their courage and something new and unexpected was found. It is only upon the precipitous that freedom is gained, that liberty is earned. What’s it got to do with beer? We’re trying to think if we’ve ever actually had a sour beer by Lagunitas and we’re going with no. It’s not that they haven’t brewed them…it’s that we in Little Rhody are rather far away from Lagunitas’ operations in California and Chicago…so we don’t get a lot of their more experimental and small-batch brews. 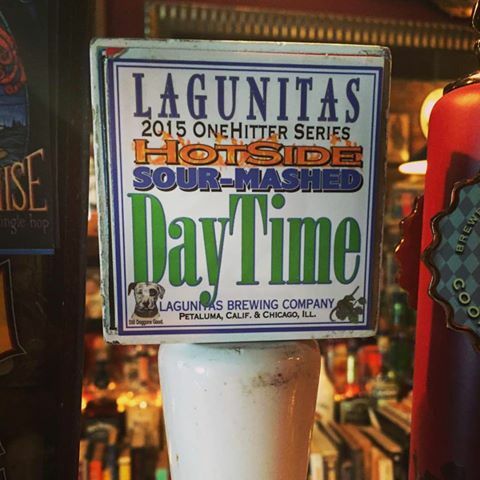 Daytime is the Lagunitas session IPA, which isn’t typically a style which really excites us…but sours always pique our interest. We funkified our neoclassical DayTime Ale by taking a hefty portion of the hot, malty mash aside, letting it go a little sour, and then finishing the brew, turning our stupidly flammable fractional IPA into an even stooped-lier flammable-ier, tart and hop electric lemon parade. So we’ve got some nice rare, limited-edition brews on tap tonight. Event starts at 7pm. Beers are tapped…now. Pour Judgement is located at 32 Broadway, Newport, RI.